Microfracture is a surgical technique that has been developed to treat cartilage defects. It is a common procedure used to treat patients with full thickness damage to the articular cartilage that goes all the way down to the bone. 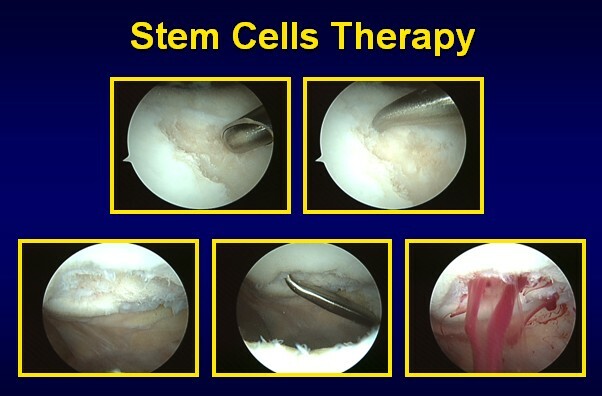 This arthroscopic procedure was first introduced about 20 years ago by Dr Richard Steadman as a treatment method that uses the body’s own healing abilities and provides an enriched environment for tissue regeneration on the cartilage surface. Since its development, the microfracture procedure has been used by its originator to treat more than 2000 patients. Of these patients, 75 to 80% experienced significant pain relief and improvement in the ability to perform daily activities and participate in sports. Fifteen percent noticed no change, and five percent continued to have joint deterioration. Microfracture creates small holes in the bone using a sharp tipped metal awl. These small holes become a channel through the surface layer of bone, called the subchondral bone, which is hard and lacks good blood supply. By penetrating this hard subchondral bone layer, a microfracture channel allows the deeper, more vascular bone to access the surface layer hence forming a super clot. This deeper bone has more blood supply, and the cells can then get to the surface layer and stimulate cartilage growth. The new tissue is a “hybrid” of articular-like cartilage plus fibrocartilage. Experience shows that this hybrid repair tissue is durable and functions similarly to articular cartilage. 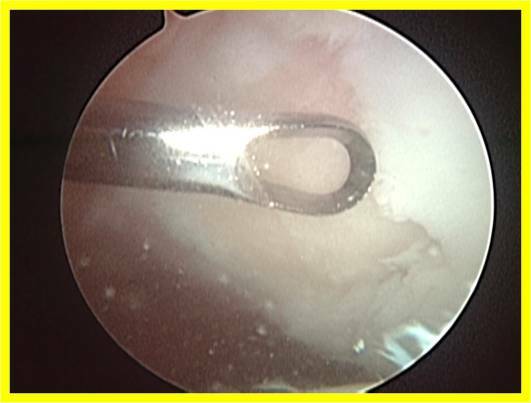 Patients with painful contained full thickness cartilage defect. The defect size should be less than 2cm in diameter. No lower limb malalignment – those with bowed knees should not have this technique performed for medial knee joint weight-bearing area defects. Younger patients have better results – ? better healing potential. Compliant with post-operative rehabilitation and physiotherapy. Extensive or global cartilage defects. Unstable knee from ligament injury e.g. anterior cruciate ligament tear. Poorly aligned knees that may overload the painful compartment. Poorly motivated patient who will not follow post-operative rehabilitation and physiotherapy. The patient usually presents with pain in the knee associated with swelling. The diagnosis of a full thickness cartilage defect can be confirmed using an MRI scan. The surgery is usually performed under general anaesthesia and the procedure involved minimally invasive keyhole surgery to the knee joint. This procedure is called knee arthroscopy. Using 2 tiny holes in front of the knee, the surgeon is able to insert a camera into the joint to carefully access the cartilage damage. The other tiny hole allows the surgeon to introduce the metal awl to perform the microfracture. The key to successful microfracture is the post-operative rehabilitation. 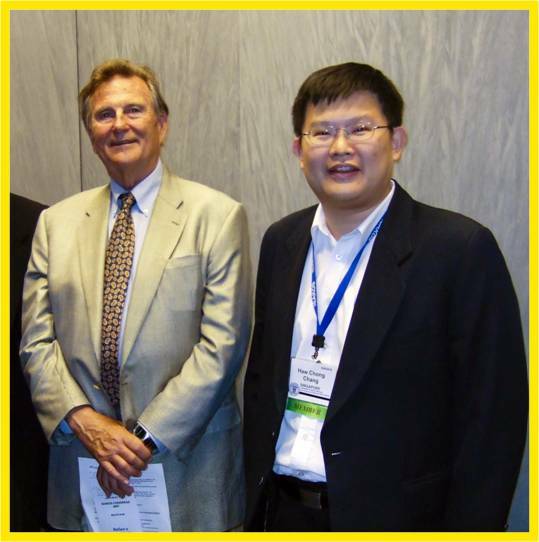 Dr Richard Steadman who invented this technique has stressed the importance of post-operative rehabilitation in order to for other surgeons to reproduce the success that he has had with this technique. The patient is started on a continuous passive motion (CPM) machine immediately in the recovery room. Ideally, the patient should use the machine for 6 to 8 hours every 24 hours. Range of motion is increased as tolerated until full range of motion is achieved with the machine. If a CPM machine is not used, the patient begins passive flexion/extension (straightening and bending) of the knee with 500 repetitions three times a day. The use of crutches, with only light touch-down weight allowed on the involved leg, is prescribed for 6 to 8 weeks. Patients with small defect areas (less than 1cm in diameter) may be allowed to put weight on the leg a few weeks sooner. Brace use is rarely recommended for patients with chondral defects on the femur or tibia. After 8 weeks the patient progresses to full weight-bearing and begins a more vigorous program of active knee motion. Patients must not resume sports that involve pivoting, cutting, and jumping for 4 to 6 months after a microfracture procedure. Full activity may be resumed once the physician has examined the knee and given approval for the patient to return to sports activity. All patients treated with microfracture for patellofemoral defects must use a brace set for 0° to 20° of flexion for at least 8 weeks. It is essential to limit compression of the new surfaces in the early postoperative period, so that the maturing marrow clot will not be disturbed. The brace should be worn at all times except when passive motion is allowed. Patients are placed into a CPM machine immediately following surgery. The goal is to obtain a pain-free and full passive range of motion soon after surgery during those periods when the brace is removed. When the patient wears a brace, strength training is allowed, but only in the 0° to 20° range immediately after surgery in order to limit compression of the affected chondral surfaces. The joint angles of these patients are observed carefully at the time of surgery to determine where the defect makes contact with the opposing surface, either on the patella or on the trochlear groove of the femur. These areas are avoided during strength training for approximately 4 months. Patients are allowed to put weight on the involved leg as tolerated, but it must be limited to the angles of flexion that do not compress the treated surfaces. For this reason the patient must wear a brace locked in limited flexion. After 8 weeks, the knee brace is gradually opened to allow increased flexion of the knee, a process that takes about a month. Brace use is generally discontinued at about 12 weeks. Some patients, however, like to continue to wear the brace for strenuous exercise for a few more months up to about 6 months. After brace use is discontinued, strength training advances progressively. 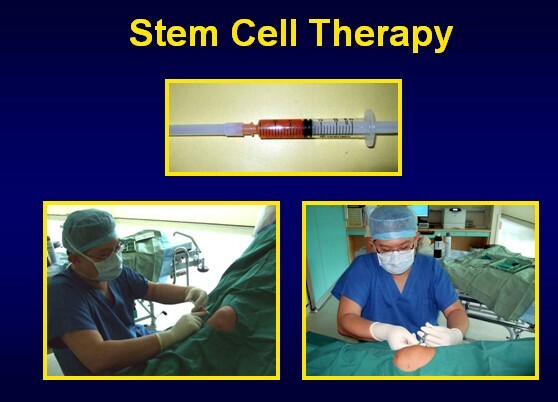 In order to enhance the formation of cartilage in the microfractured area of the knee, I have added autologous stem cell injections. The stem cells are cultured in the laboratory after harvesting the blood from the bone marrow at the time of the surgery. The cells are then injected back into the knee joint at 3 weeks after the surgery. This is an experimental technique and the success rates are not known. The commercial use of Bone Marrow Aspirate Concentrate (BMAC) has allowed us to provide a single stage repair of the defect using autologous stem cells. This involves aspirating bone marrow blood from the pelvic bone during the surgery. The blood is spinned down and passaged through a device to concentrate the cells and healing factors. This is then combined with special scaffolds and applied to the area of the microfracture to enhance the healing.